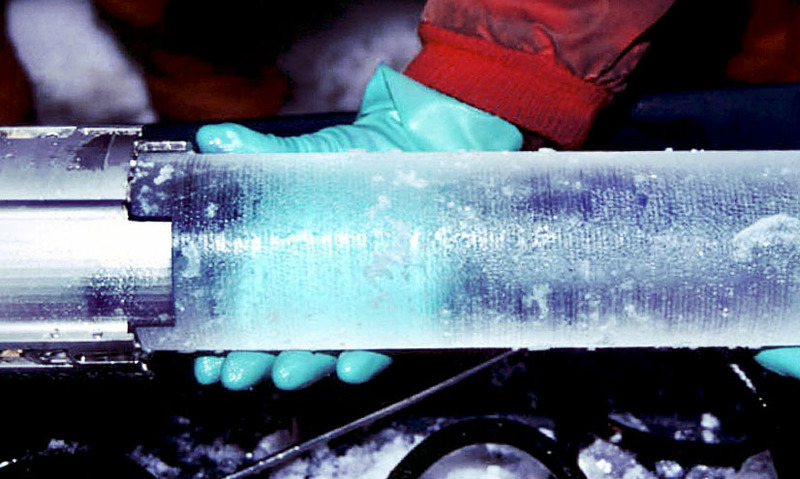 Ice cores taken from deep within the Earth's polar regions hold a hidden secret: the historical record of the Earth's climate. Evidence of natural climate changes can be found in landscapes and fossils. Studying polar ice shows that our planet's climate has fluctuated over many thousands of years. Changes in the Earth's orbit and huge volcanic eruptions can affect these natural variations. Today, man-made pollution is driving climate change, and levels of carbon dioxide are increasing. The Earth's climate has changed dramatically throughout history. Before humans even evolved, the polar ice sheets expanded and retreated many times. Perhaps once even covering the entire planet, like a giant snowball. Signs of past temperature changes appear in landscapes and fossils dating back millions of years.